HUDSON, Wisc. 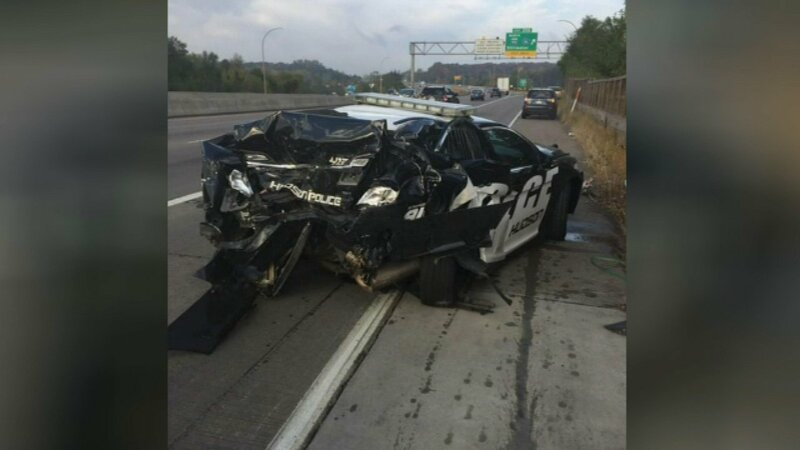 (WLS) -- A police officer barely made it out of the way when a truck slammed into his squad car in Hudson, Wisconsin. The officer was helping a driver on the I-94 Bridge when his cruiser was rear ended. No one was hurt but the cruiser was totaled. The police department posted a reminder on its Facebook page asking drivers to move over when you see those emergency lights.